As pharmacist manager of Hayes Barton Pharmacy in Raleigh, Brent Talley often fields questions from his older customers about Medicare—what’s covered and what’s not—and he’s always happy to help them navigate what can be a very confusing system. Which is why Brent—whose pharmacy delivers prescriptions to Springmoor on a weekly basis—has been invited to speak with seniors at a community seminar hosted by Springmoor to help them understand their options, and what’s at stake. In a seminar on Oct. 1, and two more on Oct. 29 and Nov. 5, Brent walks seniors through Medicare Parts A, B, C and D, and the associated advantage plans available, with an emphasis on Part D, with which he is most involved. He ranks the confusion level for Medicare as a 7 out of 10 for seniors because there are a lot of plans, rates, copays and long-term decisions that play into any one person’s Medicare package, and supplemental insurance rates can vary so much. Springmoor, which accepts Medicare, is a nationally-accredited CCRC (continuing care retirement community) offering life care, located in a beautifully developed area in Northwest Raleigh. Springmoor is designed to emphasize independent living, dignity, security, and peace of mind. Brent is a 2006 graduate of the UNC Eshelman School of Pharmacy, where he received his Doctor of Pharmacy degree. 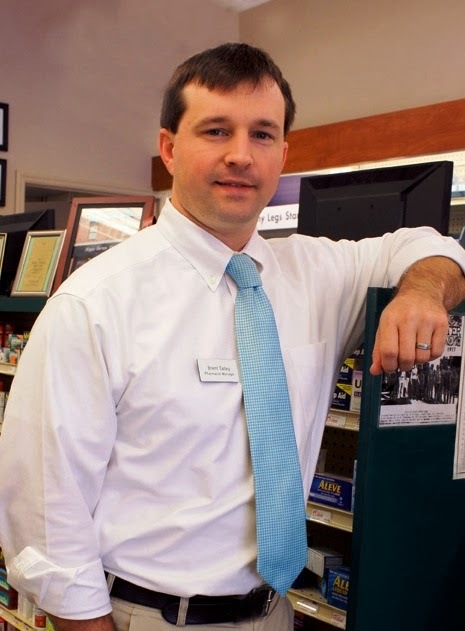 After graduation, Brent has been extensively involved in community pharmacy in the Triangle area. In 2010, he joined the team at Hayes Barton Pharmacy, a locally owned and operated store since 1929. Brent and his staff take great pride in maintaining strong relationships with the community and providing the highest level of patient care. Hayes Barton Pharmacy is centrally located in the historic Five Points area of Raleigh, at the corner of Glenwood and Fairview roads. ← Active Aging Week Brought Healthy Dishes, Massages, Wellness Examinations and More!